When you sit back and think about conversations you have been in, you will find this to be such a true statement. When can you really remember someone, or yourself, intently listening just to understand your perspective or to learn? Many conversations, after I thought about this quote, I noticed that I could even see the other individual thinking about their response before I am even done speaking. How do they know how they are going to respond when they haven’t even heard my perspective or thought? I’m guilty of this myself, but when I catch myself, I try to turn it off. Listening is so important when communicating with anyone especially when you are in a leadership role and listening to your team. Let’s briefly talk through some of the key reasons why truly listening to your team is an important leadership skill. When you really listen to your team and hear what they are saying, it builds trust. They feel you really value their opinion and that you care about what they are saying. It tells them that you are open to ideas other than just yours. As a leader, you don’t want your team to feel like you are a buddy they can just pal around with and not accomplish anything, but you do want to connect with them and understand who they are. Listening to their ideas, their interests, their concerns, etc. builds a connection. The more you are connected to them the more you can understand how to lead them, help them grow, and be more productive. No leader knows everything and if you think you do, then I’m here to tell you, you aren’t a leader. A good leader knows that they can learn from anyone anywhere. Every person has a different view and perspective on everything. When you listen to your team it brings you out of your mind and new ideas can build. So many great things can happen when you know how to listen to understand rather than to reply. I challenge everyone to evaluate your listening skills and when you are talking with your team, listen to them to understand. Then tell us all about it and what new things you learned. 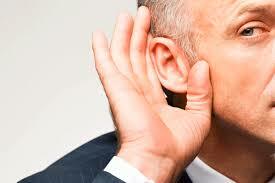 If you have the skill of listening, tell us what it has done positively for you and your team. Are you up for the challenge?